A lawn and garden equipment manufacturer needed to check the location of a bearing housing that was inserted into a complex plastic assembly. 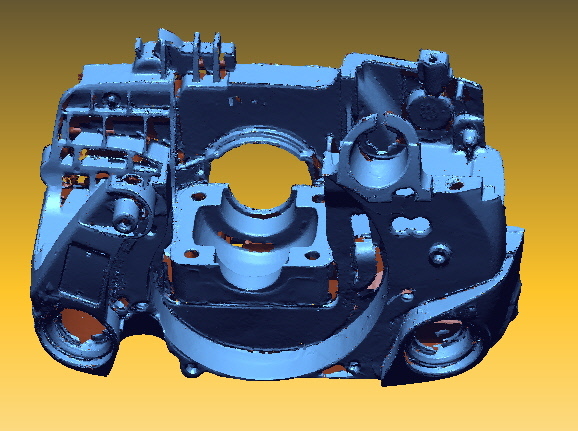 3D scanning was used to perform this task easily, and some additional problem areas were discovered. The plastic assembly was scanned to create a 3D mesh file that could be overlaid on the CAD file. 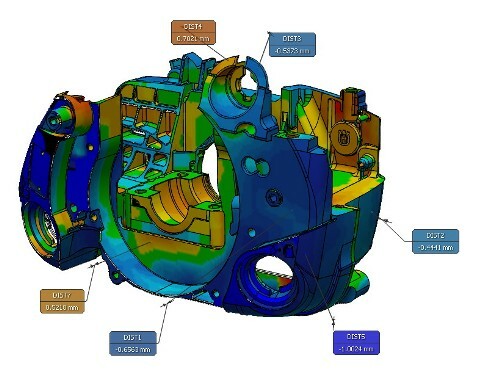 Features were analyzed to determine the best fit for aligning the scan to the CAD data. 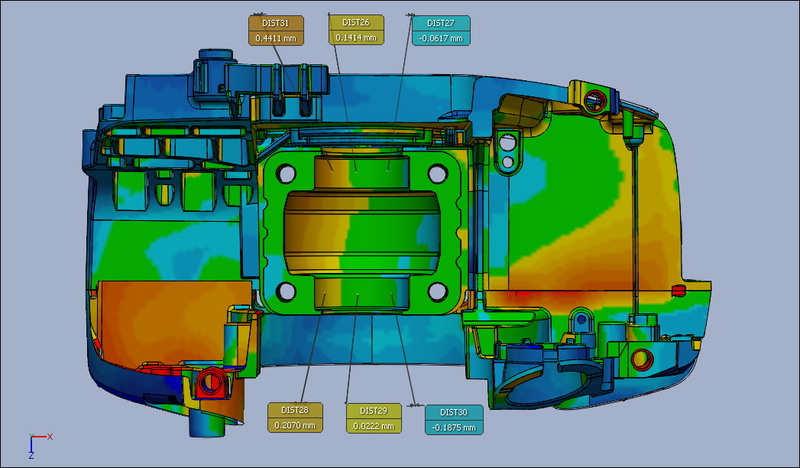 The color deviation map shows where and how much the scan data does not match the design data. Dimensions can be taken at any location. This enabled the exact location of the bearing surface as it relates to the entire assembly to be measured. Additional issues discovered included a warped feature and excess shrink. Copyright 2009 AbsoluteGeometries.com. All Rights Reserved.